When you encounter slick or muddy roads, you can engage the four wheel drive on this unit and drive with confidence. The gas and brake pedals adjust allowing you to fine-tune them for personal fit and comfort. The leather seats in the vehicle are a must for buyers looking for comfort, durability, and style. this 1/2 ton pickup has gone through a stringent manufacturer pre-owned certification process, including a meticulous mechanical and reconditioning processes. 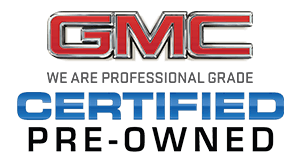 Take the stress out of car buying with this certified pre-owned. This 1/2 ton pickup is an all-around vehicle, well equipped for anything. Whether it is work or play this is a very functional vehicle that will meet all your requirements.